We display more than 2,000 popups of testimonial for many websites each day. Join us! All of our users say it's an easiest way to increase conversion ever! 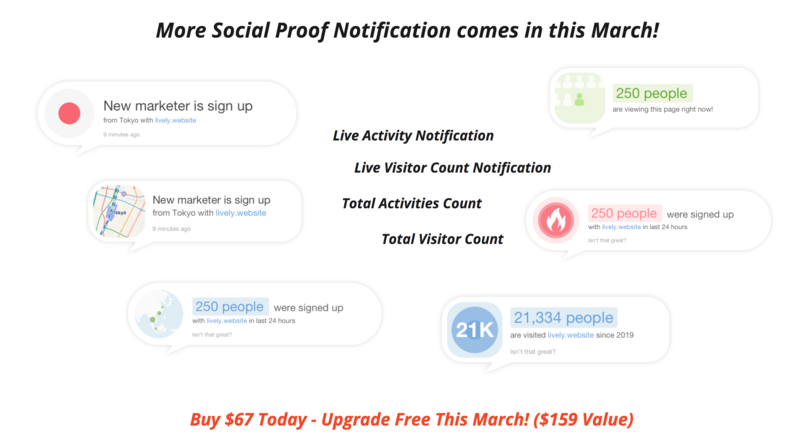 Increase Conversions By A Psychology Called "Social Proof"
Since people always looks for the actions of others to guide their own actions when they are uncertain, or making decision. 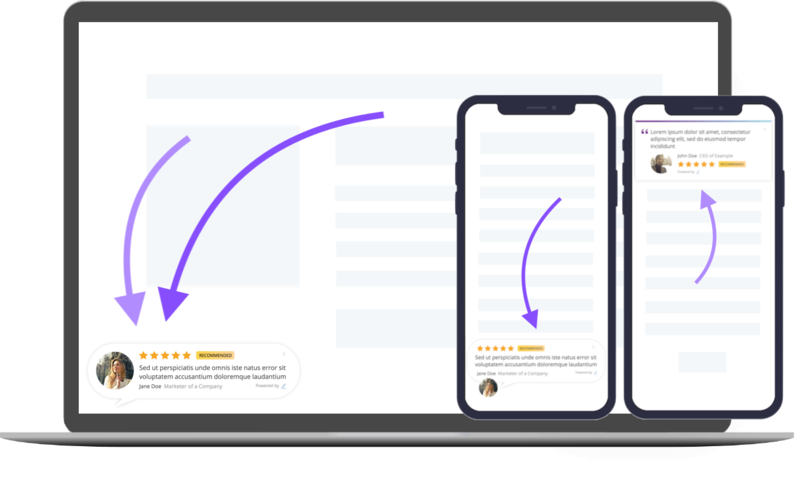 Your testimonial popups will be the easiest thing for them to look for even in the very last minute. It will be a perfect final push to purchase. This effect will definitely helps increase conversion. 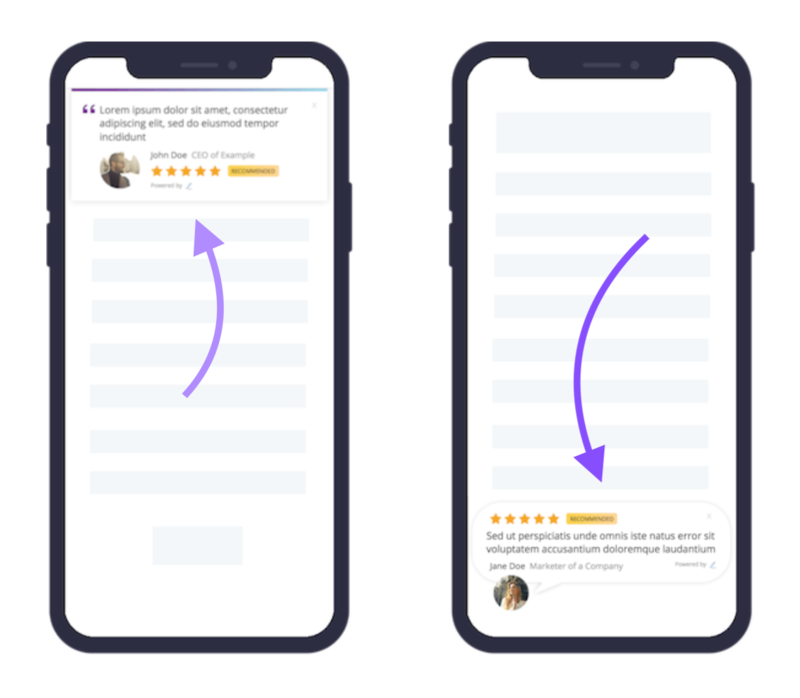 the tiny popup can significantly increase visitors attention to read your product's reviews. 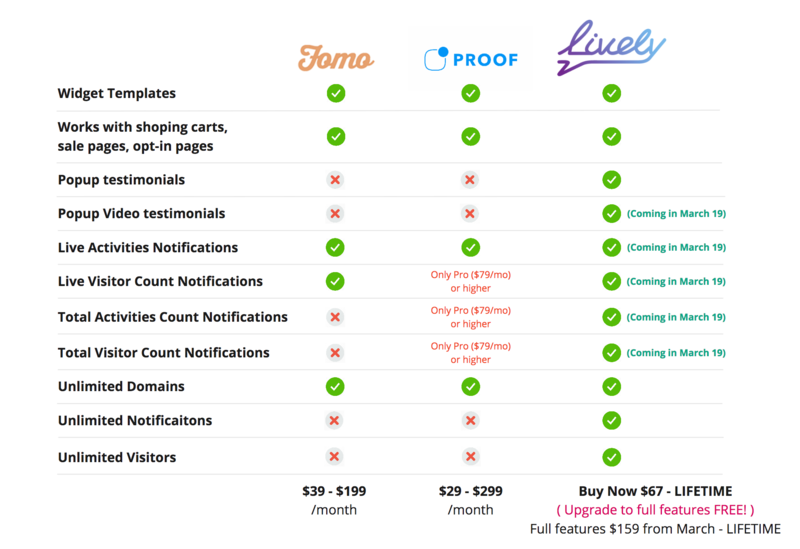 They will instantly feel confident, trust, and are more likely to make a purchase, signup, or opt-in. Your marketing cost will decrease because your potential visitors will turn into real customers or leads. Installing Lively to your website takes only 3 minutes to set up. At the final step, you will get the code to paste into your website e.g. your sale page or opt-in page. Once the code was installed, your new visitors will start to see your testimonials as auto-looping popups. It's required no coding skill at all. 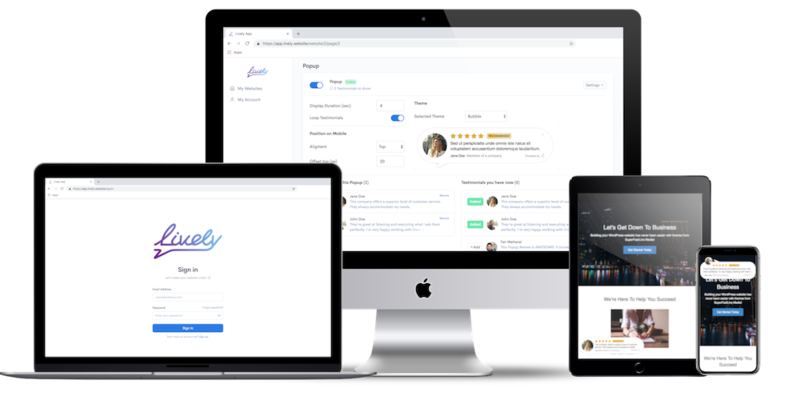 ...to build a ready to use cloud base software, which can be integrated into any websites in the world, and can double, triple, or sometimes even quadruple your conversion! " 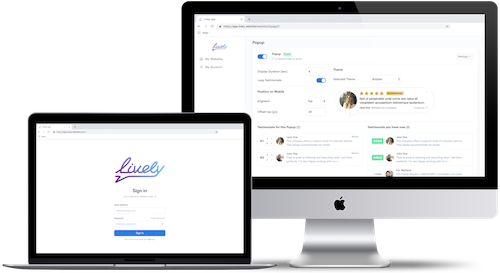 *** In March 2019 Lively will comes with full features of "Social Proof" with the price of $159 - LIFETIME Access. If for any reason you are not satisfied with Lively, just email our support at [email protected] with a copy of your receipt and your request. Update with upcoming features FREE! 3. Install pixel on your website or sale page, and you are ready to go! Lively popups are already optimized on mobile screen. Let your own customers sale for you! As long as you can add a snippet of code onto each page you want Lively Testimonials to display – it will work. Most of our users haven't used a tool like Lively before. So you are not alone, discover it by yourself now! As long as you can add a snippet of code onto each page you want Lively Testimonials to display – it will work. This includes WordPress, ClickFunnels, LeadPages, InstaPage, WIX, PayKickstart, checkout pages, and lots more. This Lifetime Package is only available for a limited amount of licenses. In the future we will offer only Subscription Packages. YES! We have a 15-day money-back guarantee for Lively. If for any reason you are not satisfied with Lively, just email our support at [email protected] with a copy of your receipt and your request.